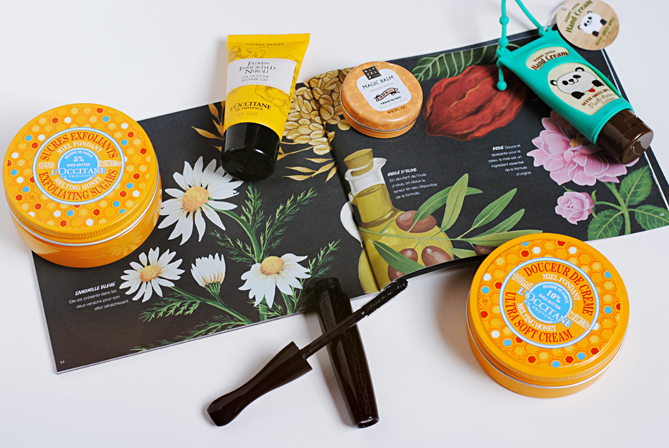 I got sent a few products from the L'Occitane 'Melting Honey' collection in 2015 and did a blog post about them back then (which you can read here). However I only just managed to really give the products a try recently. The scrub smells really warm, of honey and other soothing ingredients. Unfortunately it was not quite grainy enough for my taste and the slightly sticky texture was a bit hard to spread. The body cream has the same smell as the scrub and the texture is comparable to Nivea cream. However the Ultra Soft Cream is less sticky and absorbs better. I found it really moisturising, but unfortunately the pot was empty in no time. Another product from L'Occitane is the shower gel that smells of jasmin and neroli. The scent is rather deep without being too heavy or too masculine. Perfect for any women who doesn't like sweet and girly scents in her shower. This was my first MAC mascara ever and I'm quite satisfied. It's carbon black and probably the blackest mascara I ever used. It has a large molded brush with really short bristles that creates great long-lasting volume. However that sh*** burned in my eyes like crazy so it's not a product for girls who tend to cry often or who are too messy with their mascara. I currently take some pills against my acne whose side effect is that they dried out my lips during the first few months. This lip balm really saved my life during that period as it worked better than coconut oil or other balms. It feels and makes the lips super soft! I got this hand cream in my Japanese subscription box and I loved it. The texture is amazing, it absorbs quickly while moisturising effectively. It left my hands with a healthy glow. Furthermore the green appel scent is just heavenly. What products have you been testing and emptying lately?